A strategic joint-use partnership between Mt. Erie Baptist Church in Southeast San Diego and the nearby Martin Luther King (MLK) Jr. Recreation Center is allowing church members to combine worship and physical activity. 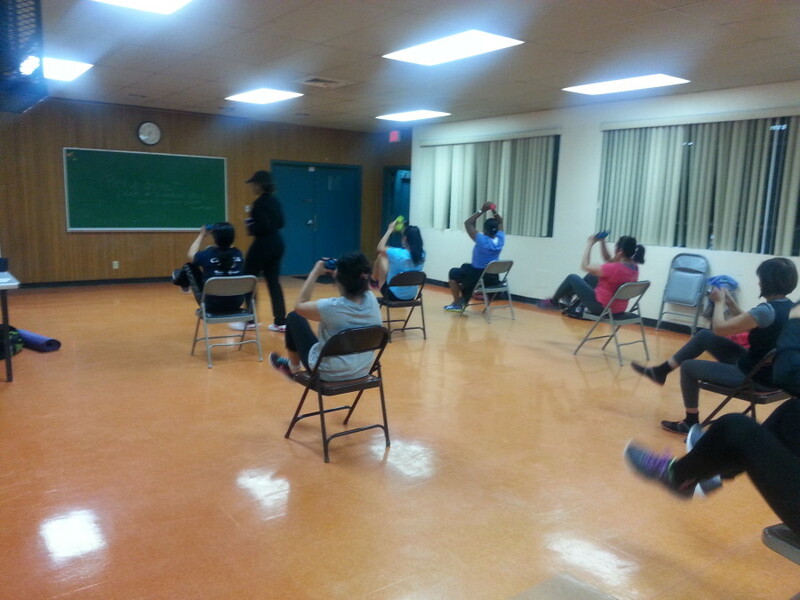 The classes include Cardio Fit, Ya Zoom Praise/Worship, Total Body Workout/Sculpt, Kickboxing and Intro to be Fit. The strategic joint-use partnership is supported by UC San Diego – Center for Community Health’s Faith-Based Wellness Program, which is funded by the California Department of Public Health’s Nutrition Education and Obesity Prevention (NEOP) branch, through the County of San Diego Health and Human Services Agency. The Faith-Based Wellness Program works with and supports underserved communities to lead healthy and active lives by working with faith-based organizations in underserved communities across San Diego County. One of the Faith-Based Wellness Program’s approaches to increasing daily physical activity among low-income communities in San Diego County is to increase access to free and low-cost physical activity opportunities and to continue to make connections with faith-based organizations to participate in joint-use agreements at local recreation centers. The Faith-Based Wellness Program has promoted this innovative movement by linking local churches to the free physical activity classes, providing educational material to support the work, and encouraging other churches to initiate joint-use agreements at recreation centers in their communities. This new partnership and agreement means that participants can take the physical activity classes for free. In an effort to increase physical activity, recreational facilities agree to open for church use. In California, an estimated 60 percent of adults are overweight, with 25 percent being obese, according to the California Department of Public Health. More than 73 percent of African-Americans are overweight with almost 37 percent reaching obesity. Obesity can contribute to chronic diseases like type 2 diabetes, heart disease, and certain types of cancer. African-Americans suffer disproportionately from these conditions. African-American women, who make up most of the MLK classes, are often resistant to exercise, the county health department says, especially during the work day for fear of sweating and ruining their hairstyles. This is why many communities now have physical education programs for African-American women, teaching them how to maintain their hairstyles while also getting a good amount of exercise. The California Department of Public Health recommends engaging in moderate to vigorous physical activity for at least 30 minutes daily to reduce the risk of heart disease and stroke. The joint-use agreement between Mt. Erie Baptist Church and the MLK Center means that participants can take the class for free. Class participant Lizbeth Flores said the GospelCise program allowed her a new start for her health.